MyLiFi is a lamp that provides a secure, wireless, radiowave-free internet connection to nearby devices, all through the data-transferring power of LEDs. 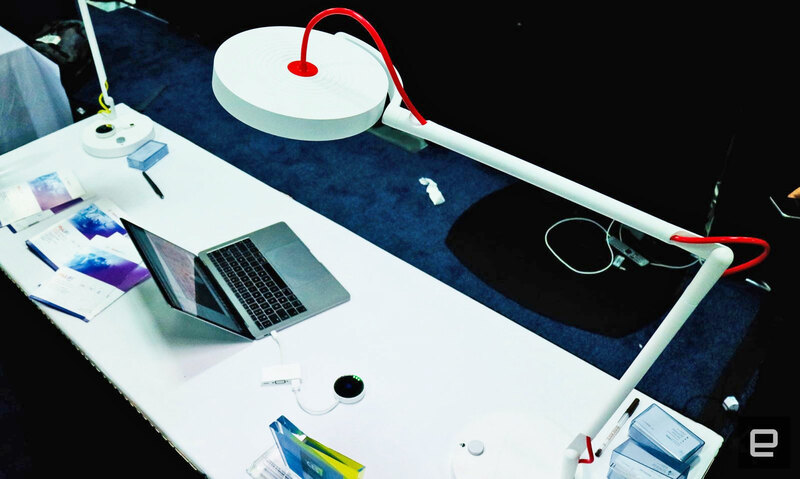 It's a simplistic, industrial-style desk lamp that beams broadband to a dongle, which users connect to their laptops or mobile devices -- and boom, they have secure, fast internet. Data is transferred between the bulb and the dongle via invisible, blinking LEDs, which means the lamp doesn't need to be on in order to provide a connection. Li-Fi is a fairly new concept, but it promises to provide faster speeds than Wi-Fi and it's unhackable, unless the intruder has a direct line of sight to the actual connected light bulb. For instance, in 2010 MyLiFi hit speeds of up to 23Mbps, compared with an average of 10Mbps for Wi-Fi. In tests throughout Tallinn, Estonia, in 2015, Li-Fi hit 1GBps. MyLiFi comes from French company Oledcomm, and CEO Benjamin Azoulay envisions multiple use cases for this kind of technology. Li-Fi can be handy in hospitals, which demand a radiowave-free environment and tight security over patient information. Or, it can be good for gaming fans, since the connection is faster and more stable than Wi-Fi. MyLiFi ships with an app that lets users control the lamp and turn off internet connectivity whenever they want. The lamp is available for pre-order now via Indiegogo, starting at $700.